Blowout Sale! 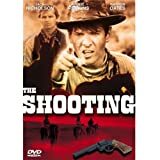 Up to 79% off on Westerns at Killer Movies. Top brands include Buena Vista Home Video, EASTWOOD,CLINT, DUEL IN THE SUN, Madacy Records, & LGF. Hurry! Limited time offers. Offers valid only while supplies last.